At last week’s AT Kearney Global Business Policy Council retreat in Warsaw we reviewed the results of an April 2016 CEO survey on their top five concerns for 2017 and beyond. This survey stimulated me to outline my answers to this question What CEO’s should be focusing on in 2017? Adopting internal disruption as a way of life. 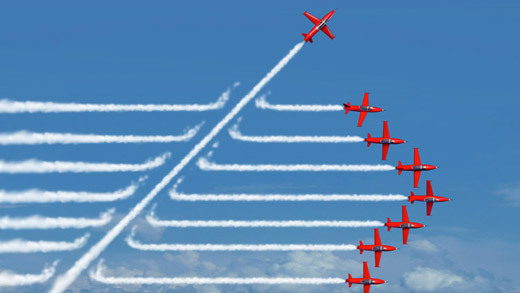 There is nothing more inevitable in our VUCA world than disruption is just around the corner. The Fast Eat The Big; and technology trumps traditional. If you are not actively engaged in disrupting your own culture and your own business, then someone is targeting to disrupt you; you just don’t know it yet. The old days of command and control, silos, and internal competition are dead. In our new crazy world we must all adapt or perish. Integration, collaboration, connectivity and creativity are the skills we need to survive and flourish. No easy task. A mind-shift change followed by intensive ongoing coaching, training and role modeling is required. Embrace and relish a more with less culture. Eliminate and reduce waste. Adopt zealously and positively Jeff Bezos’ mantra, “There are 2 kinds of companies. Those that want to charge more. Those that work to charge less. We will be the second kind.” We all should be. Beware of the Rising Tide of Nationalism and Populism. Think Global Act Local has never been truer. Creating a culture based on creating more leaders; not followers. A culture which is inspiration based, against a Purpose which is at the Heart of the Enterprise and which is embraced by all.